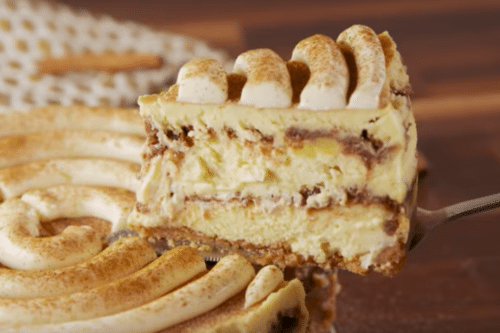 Cinnamon roll cheesecake is the dessert mash-up you never knew you needed in your life. It combines — you guessed it — cinnamon rolls and cheesecake to create the ultimate autumnal dessert. Now that fall is officially here, a cinnamon roll cheesecake is just the kind of treat you’ll want to enjoy all season long. Cinnamon is the fall spice — right behind pumpkin spice, after all! This recipe from Delish uses what we’ll call globs of cinnamon and sugar in between layers of cheesecake to recreate the flavor you know and love in a new and sliceable way. 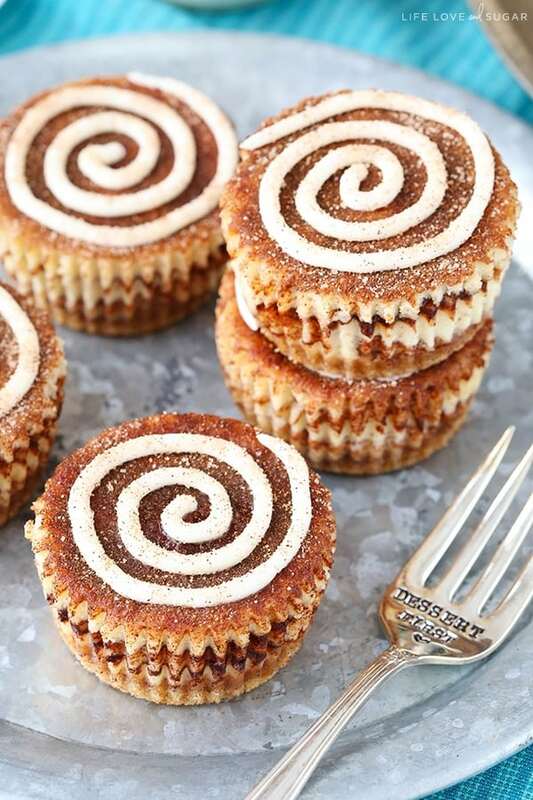 The alternating layers of cinnamon and sugar, as well as a classic cream cheese filling, offer up the perfect amount of flavor in every forkful. Now that you know this type of dessert exists, you can start to find the many different versions of this recipe that are already available online. 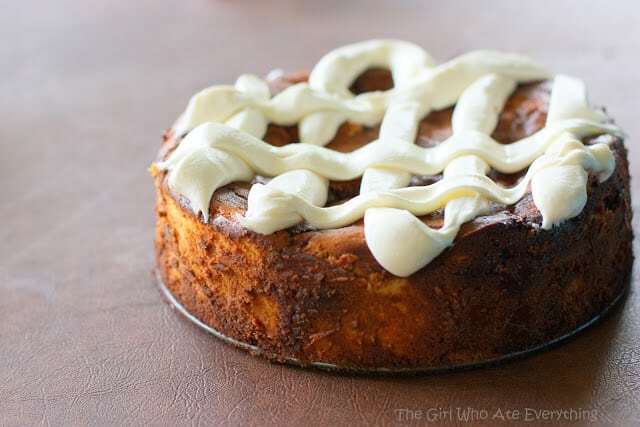 This cinnamon roll cheesecake from Bellyfull tweaks the recipe and uses actual cinnamon buns as a “crust” for the cheesecake — staying truly authentic to the flaky texture you know and love. This recipe from Life, Love and Sugar shows how you can make mini versions of cinnamon roll cheesecakes. These adorable cakes are great for easy, on-the-go devouring — plus, they can be easily stored in the refrigerator and noshed on throughout the week. Your 3 p.m. pick-me-up just got a whole lot yummier! The Girl Who Ate Everything’s recipe put an emphasis on what could arguably be called the best part of a cinnamon roll: the thick cream cheese frosting. Her version calls for cream cheese, powdered sugar and little else, and it looks absolutely amazing. 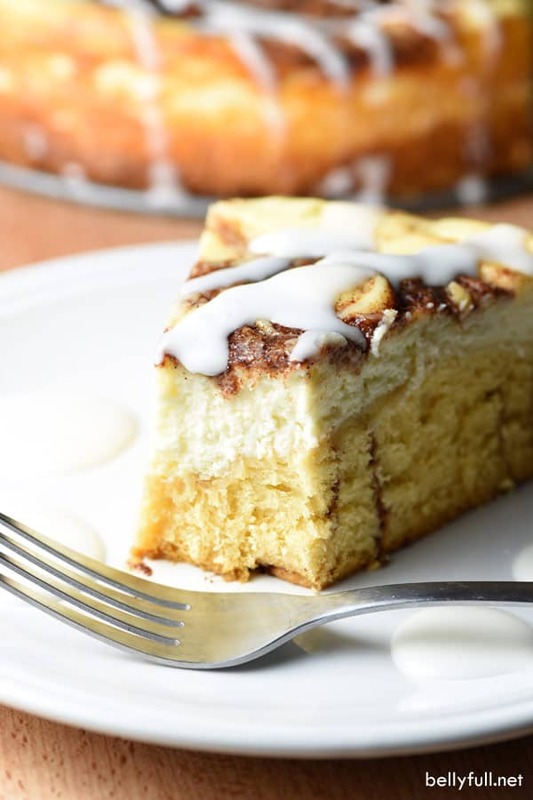 Not all cinnamon roll cheesecake recipes need to be eaten with a fork! Creme de la Crumb has a recipe for the decadent dessert in bar form. 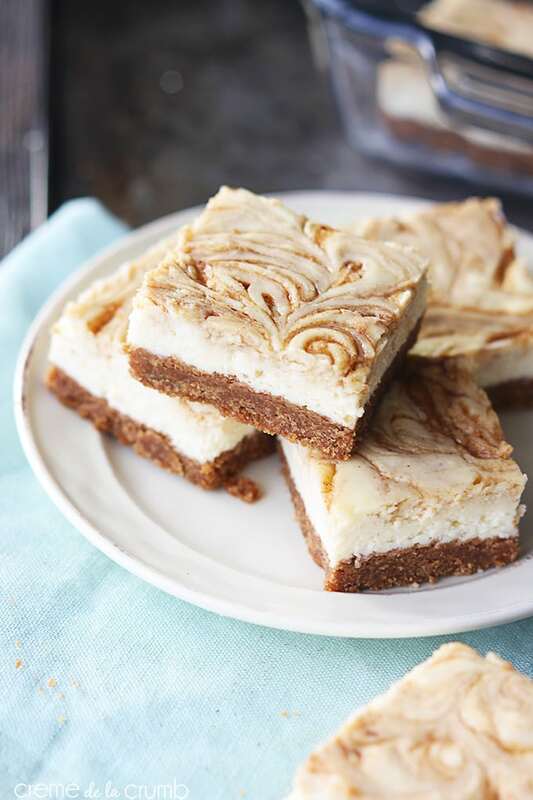 Next time you’re thinking about baking brownies for book club or the school fundraiser, consider these cinnamon roll cheesecake bars instead. Having a hard time choosing a favorite? That’s okay — try them all! You could never have too much of this cinnamon roll cheesecake combo, after all.